Yamm showcases an international buffet and à la carte menu, served throughout the day. The abundant breakfast, lunch, tea and dinner buffets offer Japanese, Indian, Southeast Asian and Western dishes, as well as delectable, handcrafted desserts. A mouthwatering selection of jet-fresh seafood with signature fresh Boston Lobster and fresh plump oysters is a testament to quality. 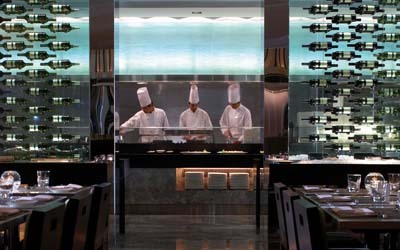 From sushi and sashimi, to teppanyaki foie gras, Parma ham and rich assortment of cheese, it’s your right to choose.